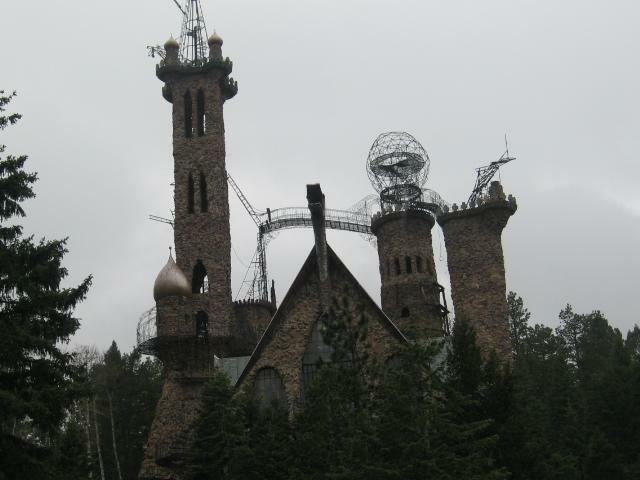 You won’t find Bishop Castle in the Colorado Guide Books. You should. 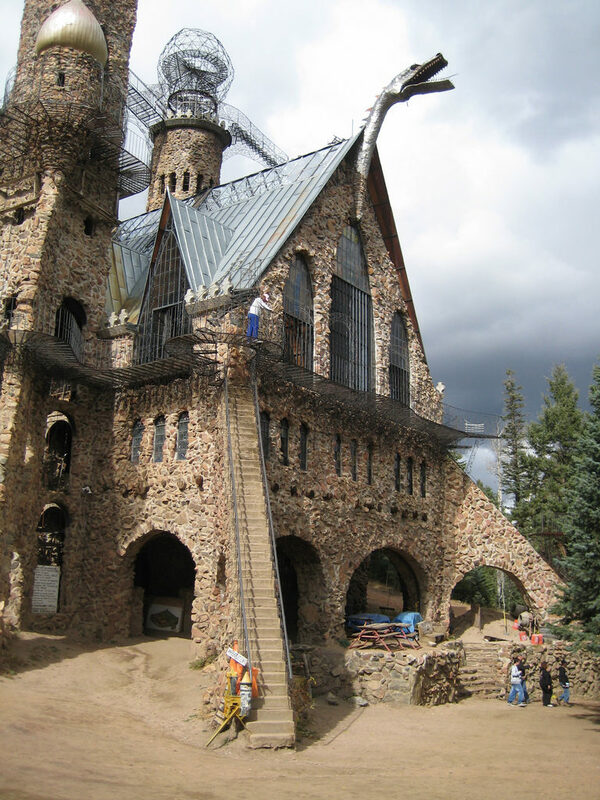 Jim Bishop has been building his castle in San Isabel National Forest, Colorado since 1969. Jim Bishop bought the land the castle sits on at the ripe old age of 15 for just $1250.The year was 1959, a time when all things were possible. His dream then was not a castle but a getaway for hunting, fishing and climbing with a friend. Bishop Castle had humble beginnings as a Colorado cabin. Observers mentioned the stone structures resemblance to a castle. From there, the dream grew into what it is today. Mr. Bishop has built this Colorado castle on his own, brick by brick, working a little at a time. Castle features include towers, wrought iron stairways and a fire breathing metal dragon. His father helped him up until 1971. He has tried (without success) to use hired help. For the most part, he’s hand built every bit of Bishop Castle. The castle turrets are spectacular stone structures with wrought iron stairways reaching up to as much as 160 feet tall. The metal art at the top and the stairways are an example of the handiwork Jim Bishop learned while working at his family owned iron shop in Pueblo, Colorado. The fire breathing dragon is an exciting feature of Bishop Castle. It’s made from recycled metal hospital trays. The dragon is powered by a burner from a hot air balloon. Mr. Bishop is planning to improve the dragons fire breathing power with the help of his son. Mr. Bishop has recently added a sign garden to his Colorado castle. Signs make clear that Jim has no lack of disdain for the government and it’s heavy regulation. They are basically his musings on this theme. Mr. Bishops political dissent may be the reason his castle is not listed in Colorado guide books. It hasn’t been subject to building inspections. Bishop Castle is a work of art, not a building. When visiting this tourist attraction, you are asked to sign a guest book that serves a dual purpose as a disclaimer in case of injury. Bishop Castle has a gift shop attached. Items for sale include castle themed dress up clothes and props. There are also some political items and the usual Colorado souvenir fare. There are no admission fees for Bishop Castle. Donations are welcome. They’re put toward construction costs. Get to Bishop Castle from Denver, Colorado by taking I-25 to the Colorado City exit. Go NW on Highway 165 for 24 miles. You will see signs from that point.